A clean shiny hardwood floor will make your home beautiful and stand out to friends and colleagues that come to visit. 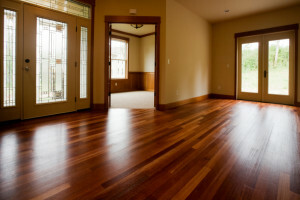 A clean hardwood floor adds value to your home when you are trying to sell your home. Buyers look at the floor and see how beautiful, clean and immaculate it is and love it. This floor can literally sell your home for you, even if there other negatives. Prospective home owners will over look these things if their first impression is a strong positive one. There are a number of steps that home owners can consider to keep their floors looking fantastic. This is without the need for a hardwood floor cleaning service. There are companies that provide professional hardwood floor cleaning services. However if home owners can do this work themselves. 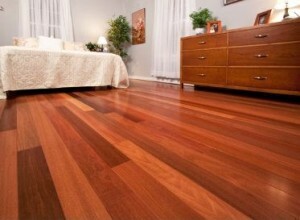 They will save money and their homes hardwood floor will always be glistening and looking great. If you decide to hire a Hardwood Floor Cleaning Service, use the following steps as a guide to interview these companies regarding the process they use, the chemicals if any that they use and the machines they use to ensure that they will deliver the results that you desire. Step One – determine the type of finish that is on your floor. If there is a protective urethane or polyurethane finish to your floor, there is already a thin protective layer on the floor. Other floors may be natural wood with an oil based finish, varnish or even floors with no finish on them. Check with the original owners or with the store that the flooring was purchased from to determine what finish is on your floor. 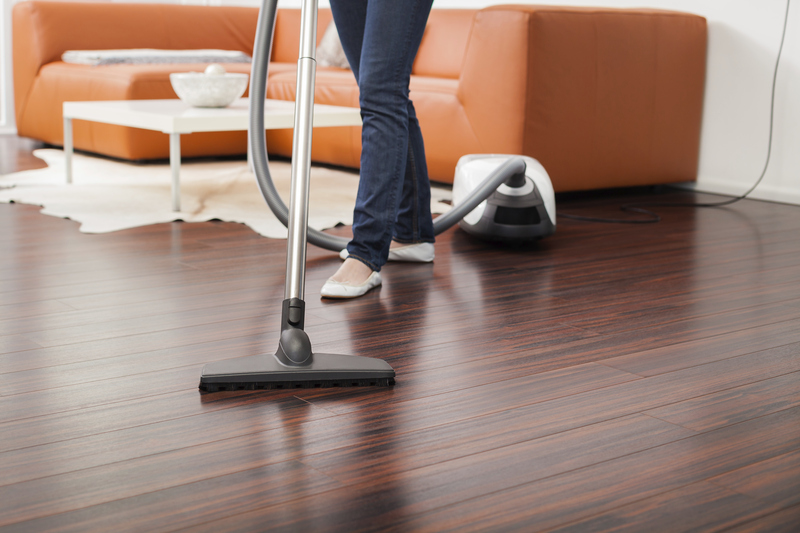 Step Two – floors that are sealed need only vacuuming and mopping with a mild soap and water solution. Never leave water on the floor and usually a damp mop is preferred rather than a wet mop. Oil treat floors need to be vacuumed and then an application of paste wax to protect them from stains and water. For all other floors depending on the finish there are several cleaners available on the market. Avoid water on your floors. Water causes the wood to expand and even crack in places. It may also leave water marks. If you must use water on an unfinished floor, just use a damp mop and never leave water droplets on the floor or allow water to go between the cracks. Step Four – even protective covers will wear down over time, especially in high traffic areas. This protective cover may need to be sanded at some point and the floor recoated with whatever protective cover you are using. For sanding tips, refer to several of our other posts on hardwood floor refinishing. Step Five – keep your floors clean and free of grit that is tracked in from outside. Remove your shoes at the entry to your home and vacuum on a regular basis, even every day in high traffic areas if there is a lot of grit being tracked into the home. Step Six – install area mats to protect entrance areas and other high traffic areas. Vacuum these mats regularly each time you vacuum the rest of the home. The rugs will add to your overall décor and also capture any grit that is attached to the bottom of your shoes. This is the main reason that the rug should be vacuumed often. At some point you may decide that a hardwood floor cleaning service might be a better choice. Consumers may want to hire a floor cleaning service once a month to keep their floors looking pristine and vacuuming every couple of days to avoid in long term damage. 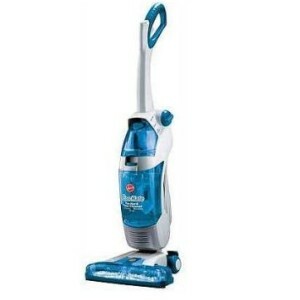 The cleaning service may also vacuum as well before they actually clean the floor. There are lots of suggestions available on the web about what to do with various problems you may have with your hardwood floor. One piece of advice that we always give to readers is that before you try something on a hardwood floor, always experiment first. If you have a left over piece of hardwood floor use this piece to try your solution on first. If you do not have an extra piece of flooring, then select a location that is out of the way and try it on that area first. This is the best way to avoid making a small mark even worse on your floor and having everyone notice it. This is one of the cardinal rules of looking after any kind of flooring. The following are a few suggestions, that are untried by the writer, however they have been picked up over the years as potential solutions to hardwood floor problems. When white water spots mar your floor’s finish? Add a small amount of mineral spirits to an extra-fine (0000) steel wool pad and gently rub the area in a circular motion. Keep the area well ventilated as you work. Do not overwork the area or you will remove the finish that is on your hardwood floor. If your steel wool is not fine enough, you could damage your floor and you may see scratches across the wood. Take extra care when performing this activity. Heel marks that won’t wipe off? Adding a small amount of wax to an extra-fine (0000) steel wool pad and gently rubbing the area in a circular motion will often remove the heel mark. However once again, if you over do it, you can remove the finish and leave a dull area on your hardwood floor. Food stains leaving a mark on the floor? Wipe the surface with a damp cloth, rub dry and wax. When removing any stain (from wood or carpet), always work from the outside edge in toward the center. Sweep or vacuum often. 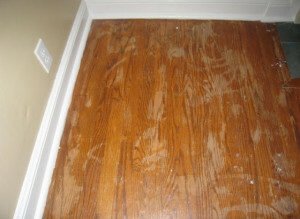 Ground-in dirt destroys wood floors. To prevent buildup, clean floors once or twice a day in high-traffic areas, like the kitchen and dining room. In fact avoid placing hardwood flooring in the kitchen. It is a very high traffic area and pron to food spills. Wipe up mud and spills immediately. Make sure that you clean all spills, including food that can leave marks. Wood is easily damaged by water. Choose carpeting wisely. While carpets will protect the floor there are a couple of issues. The floor surrounding the throw rug or carpet will bleach over time from the sun. If you aim to protect your wood floor with a rug, remember that rug dyes have been known to stain floors, and plastic backings may affect the wood finish. Plastic or rubber backings may stick to the floor and be very difficult to remove without damaging the floor. Ask an expert from the carpet store to recommend an appropriate underpad as a safeguard. 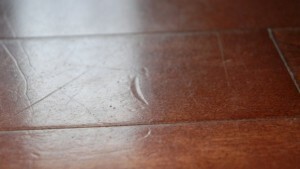 Our next post will be about removing dents and marks in your hardwood floors. If you found this post helpful and wish to leave a comment please do so. We also appreciate any suggestions that will also help our readers as well. If you are an expert please feel free to comment. this is the most common type of floor covering for hardwood floors. These floors are sealed with urethane, polyurethane or polycyclic materials and are stain and water damage resistant. They are the easiest to care for since the floor is sealed. All you need to do is sweep the floor to remove all grit and dust etc and then mop the floor. Be careful to avoid leaving excess amounts of water on any floor including this one even though it is water resistant. Some floors have a penetrating oil finish to them to bring out the grain in the wood. This penetrating oil really does not provide any protection. All it does is penetrate the wood and enhance the grain of the wood to provide an aesthetically pleasing look to it. Many people will protect this type of floor with liquid or paste wax. Varnishes and shellacked finishes are really surface finishes, however they are unable to protect the floor from water and other liquids in the same manner as urethane etc. As a result they must be treated with care and in the same way you would treat a floor that has been treated with penetrating oil floors. Floors that are still bare wood have no protection in them at all and will absorb water and other liquids very quickly. It is important to avoid spilling any water on these floors let alone cleaning them with soap and water. Many people find it difficult to tell what kind of floor they have unless they purchased it themselves. Older homes that people move into may have hardwood floors but unless the original owners are available to tell you what type of floor it is, you will have to discover the type of floor finish yourself. One way to tell what type of hardwood floor you have is to rub your finger across the floor. If no surface smudge appears then it is surface sealed. If there is a smudge, then it has been treated with an oil finish or shellac type of finish. Of course floors that are just bare wood will also not show a smudge since there is no finish on these floors at all. Heavily warn floors also have to be given careful consideration. Floor areas in high traffic paths may be warn to the extent that the bare wood is showing through the surface seal. Treat these areas in the same manner as you wood with a bare floor with no finish at all. Our next post will discuss specifics about how to clean each type of floor mentioned in this post. The title will be “Cleaning Surface Sealed and non Surface Sealed Floors”. If you found this post helpful or would like to contribute a comment, please do so. any comments that are constructive and helpful to our readers will be posted. We will even approve your link if it is a good comment that our readers will find helpful. Regardless of whether you purchase a new home with hardwood floors or you have just installed new hardwood floors in your home, you have a valuable and considerable investment in your home in hardwood. Most buyers are looking for hardwood flooring to be already installed when they buy a new home. They really do not consider hardwood floor upkeep requirements. Keeping the hardwood floor clean and avoiding marks on the floor will go along way to maintaining your hardwood investment. 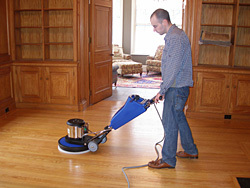 Cleaning a hardwood floor is an important task with lots of benefits. It will help to maintain the natural beauty of your flooring and also extend the life of the floor, which saves you money in the long run. It will also help you avoid many headaches in the future. Here is a helpful guide to show you how to clean hardwood floor and make the most of your investment. Hardwood flooring is sensitive to heat and moisture but it is also sensitive to the harmful effects of dirt and grit. As dirt and particles work their way into hardwood surfaces they have a grinding effect as you walk on the floor, which is detrimental to the lifespan of the wood.The floor changes color, scratches and gradually the finish will be removed. Who wants to have to sand a hardwood floor by hand? Dirt and grime can scratch away at the surface of the wood, dulling it and taking away from the look of the surface. For these reasons it is important to know how to clean hardwood floor. But before you begin you will need a few tools. A soft fine-bristled broom, a vacuum with a hardwood safe attachment, along with a mop of your choice are essential. Once you have everything you need we can get into how to clean your hardwood floor. You should have a routine in place for caring for your floors. This routine must include sweeping often with the fine-bristled broom in order to keep everyday dirt and dust from accumulating. Also, time should be taken to vacuum the floors at least once or twice a week. This will help to lift any sand or other abrasive particles that may want to settle in the floor cracks where they will do their damage. When mopping your hardwood floors you should use a very dry-damp mop. This is because of the floor’s intolerance to excess water. Any extra water may seep down into the floor which is very harmful. This is practically everything you need to know on how to clean hardwood floor. We have had this situation and before we knew what happened there were little heel marks all over our floor. The women even asked us if it was ok to wear her shoes indoors. foolishly we said yes. What a mistake. We have not corrected the situation yet, but it will take some serious sanding and refinishing to fix this. Do not allow people to wear their shoes inside your home on hardwood floors if you want to maintain the luster of your floors and avoid marking the hardwood on your floors. As you can see, when finding out how to clean hardwood floor, there are only a few simple yet important steps. Cleaning hardwood is best done with regular care and attention. Once you have all of this in place, your floors will be long lasting and great looking. A hardwood floor is one of the most enduring floor surfaces and provides many benefits compared to all other surfaces. These benefits can be enhanced even more if you keep your floors clean by vacuuming regularly and cleaning weekly. For example if you never wear your shoes inside your home on your hardwood floors you will avoid tracking a lot of dirt into the home and you will avoid scuffing the floor with your shoes. Any dirt or grit on your floor can be ground into the floor and acting like sand paper on the floor. Avoid wearing shoes any time inside the home on the hardwood floors. Here are a few of the reasons why you would want to make sure that your floors are always clean in addition to the obvious. Improves the decor of many homes. By providing a little care and maintenance to your hardwood floors you can expect your flooring to last a lifetime. If you are new to hardwood flooring, here is some information about hardwood floor cleaners and other maintenance tips that will help you get the most from your investment. For almost every kind of spill, smudge, stain or any other type of mess, you will find a hardwood floor cleaner for the job. If all of these chemicals and solutions are confusing to you then perhaps an all-in-one hardwood floor cleaner kit is right for you. You can find many of these kits for both laminate flooring and hardwood. They usually come with an all purpose cleaner along with a specially designed mop. 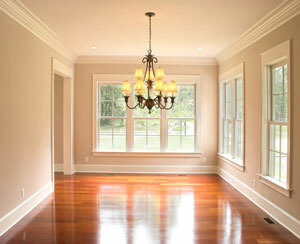 Some general purpose hardwood floor cleaners can remove some of the shine from the floor or even leave a residue. To avoid this, make sure you choose a cleaner that is specially designed to clean finished hardwood flooring. Other hardwood floor cleaners that you should avoid are oil soaps that can build up over time. Maintain proper levels of moisture in your home with a humidifier in the winter time. Winter air tends to dry everything out and will cause gaps to appear between the floor strips, unless you maintain the humidity level in your home between 30% to 50% at all times. Clean your humidifier at least once a month as well to avoid any chance of mold buildup in the humidifier. Along with a proper hardwood floor cleaner you should practice regular care and maintenance of the floor. Dirt and grit tracked onto hardwood floor acts like sandpaper and will cause problems over time. Clean your floors at least once per week and immediately after you have had a party or guests in your home. This means it is important to either sweep away this dirt with a fine bristles broom or vacuum with a specially designed hardwood attachment. Using the incorrect tool could scratch the surface of your floor causing more damage. This is especially true in high traffic areas. Another important thing to remember is that you should never allow water to remain on any hardwood surface. Wipe up any spills as soon as you notice them. With only the most common sense cleaning and proper hardwood floor cleaner you will have great looking floors that will last your whole life. Over time you will gain more appreciation of the subtle details and warmth of the wood. Hardwood floors can be re-sanded and refinished, however if you look after them this may be avoided for many years. The more you give to your hardwood floors the more you will receive in return.